Frontier Flowers of Fontana is a full-service floral and design studio specializing in stunning weddings and custom tailored events. Welcome to our Fabulous New Site! It’s been a while since my last post where I promised I would share more fabulous pieces from Milawukee Art Museum’s Beauty in Bloom. I happy to say that day has arrived! 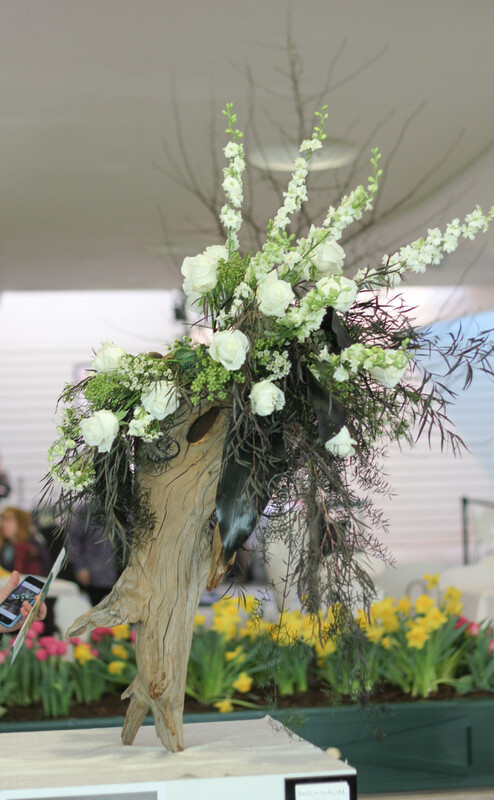 As I mentioned, I really adore the third place entry designed by Jaimer’s Floral, but there were many other great designs on display as well. This color blocked arrangement was named Honorable Mention. It was designed by Emily Neubauer, Erika Herman, and Alex Covert of Belle Fiori LTD. I love how they arranged the galax leaves to look like kale; what an interesting technique! The way the driftwood balances on it’s two “feet” is really fantastic! This bold yellow and black piece was designed by Denise Gehrke, AIFD of Waukesha Floral and Greenhouse. Denise is a fabulously talented designer who I have had the great pleasure of working with on several occasions. She is a truly talented artist who is passionate about floral design, and a wonderful person to boot! 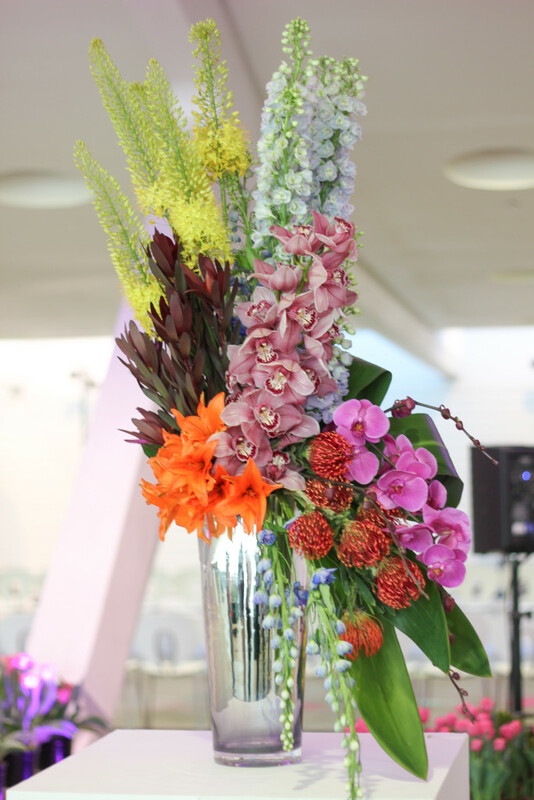 This piece was another one of my favorites – designed by Gregory Leyba of Gregory and Company Galleria Florist. He really captured the essence of his inspiration garment. All in all I had a wonderful time at Beauty in Bloom despite the fact that the art galleries were not available for perusing. I would have loved to have made the fashion show on Saturday night; I heard the designs were extraordinary. Perhaps the museum will add a floral fashion show to the annual event next year…one can hope! 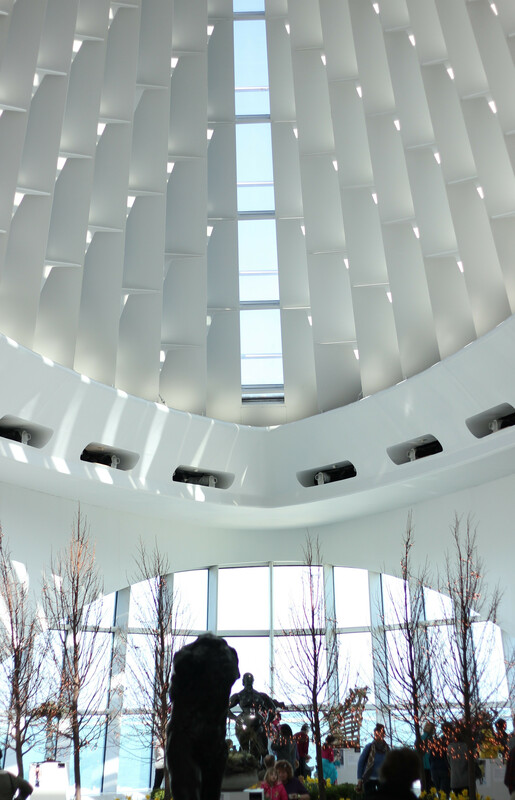 I had such a lovely time going through the Beauty in Bloom exhibits at the Milwaukee Art Museum this past weekend. The annual event is a harbinger of spring and very welcome break from the Wisconsin cold. If you’re familiar with the event you know that this year was a bit different. 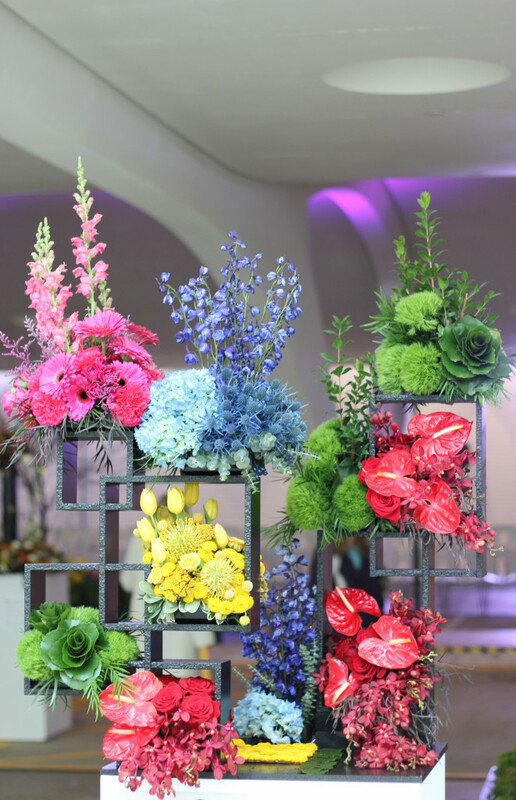 Instead of the usual “Art in Bloom” the museum garden club hosted “Beauty in Bloom”. This year’s designs were inspired by designer fashions in the temporary exhibit instead of works in the museum’s permanent collection. This is because the permanent galleries are undergoing renovation and are not open to the public at this time. Although the layout was a bit different the designs were just as lovely as usual, and it was really nice to see a new source of inspiration in the fashions of the temporary exhibit. This year’s second place entry was designed by Pam Borgardt of Milaegers. Pam has had the honor of being chosen as one of the top three designers for many years. She does a great job of capturing the essence of her designated artworks. That’s all for this today, but I’ll showcase my favorites in a later post. There are some really lovely and artistic designs yet to come! Hello and welcome to our fabulous new home on the web! Whoever said that it was a good idea to let a florist embark on this journey of designing their own website was wrong. Graphic designers, I’ve gotta hand it to you, this process has been nuts! It’s been a long two months, but I made it. Thank God for the gracious Kristina Reed of Kristina Lorraine Photography or this endeavor would have been hopeless. So here we are with a fresh new face. You’ll be able to find us on Facebook and Pinterest as you have for a while, but you’ll also be able to find us on Instagram (which I’m super excited about) and here on this shiny new blog. I’m really looking forward to sharing some of the beautiful weddings we have upcoming this summer and also a few new projects I have in the works. So follow us to your hearts content; I’ll do my best to keep posting lovely flowers and fabulousities to inspire and delight. Thanks for stopping by, I’m glad you’re here!